You’ve seen Harry Potter, you may even have read the book. You may remember a cool clock that Molly Weasley had hanging in her house to keep track of her large red-haired brood of children (and one husband). If you ever wished you could get something like that for your own living room, check out the Eta Clock, the clock that keeps track of everyone. 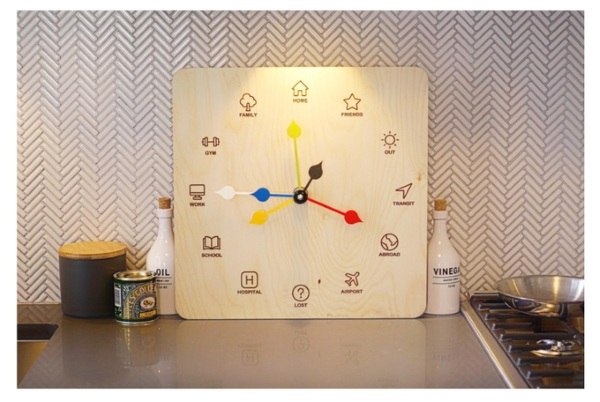 Instead of numbers, this clock features familiar locations that your family may go too such as work or school. The hands are color-coded to align with the people in your home, or whoever you want to keep track of really. It works with an app and is constantly updated with your loved one’s location. The clock works with an app and you can add the locations and assign the hands yourself, through the apps. It works with Bluetooth and is simple to get started with. This clock is very whimsical and fans of the boy wizard likely fall in love with it. It is currently on Kickstarter and you can get one for $400 if you act fast.